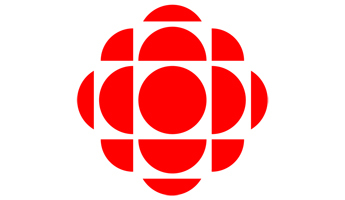 The three CBC journalists – Mellissa Fung, Lynn Burgess and Paul Seeler – are on a flight that is due to land in Panama City at 10:15 pm. When CBC fixer Rosie Simms arrived in Panama City on 20 January, the Panamanian immigration authorities cited an unspecified “problem” with her passport as grounds for refusing her entry although she presented a perfectly valid passport that does not expire until 2015. They held her for four hours at the airport before putting her on a flight to the United States. “We are concerned that she was targeted because she had been in touch with some of the anti-mining communities in the country, and even more concerned that we will be met with the same fate when we arrive,” Fung told Reporters Without Borders. “What happened to Simms is reminiscent of what befell Paco Gómez Nadal and Pilar Chato, two Spanish freelance journalists affiliated to the NGO Human Rights Everywhere, who were deported last February, 48 hours after being arrested during a major protest by indigenous groups against various mining projects. The Canadian TV crew’s visit coincides with a resumption of parliamentary debates about mining legislation, including mining in territory that has been assigned to indigenous communities and is therefore supposed to be protected. A project by Toronto-based Inmet Mining was thwarted last October when a Panamanian court ruled in favour of Ngöbe Buglé, one of the indigenous “comarcas” that has been opposing mining by foreign companies in their territory. If the CBC crew is denied entry today, it will confirm the negative trend in Panama as regards respect for freedom of information. Panama has fallen more than 30 places in the latest Reporters Without Borders press freedom index.